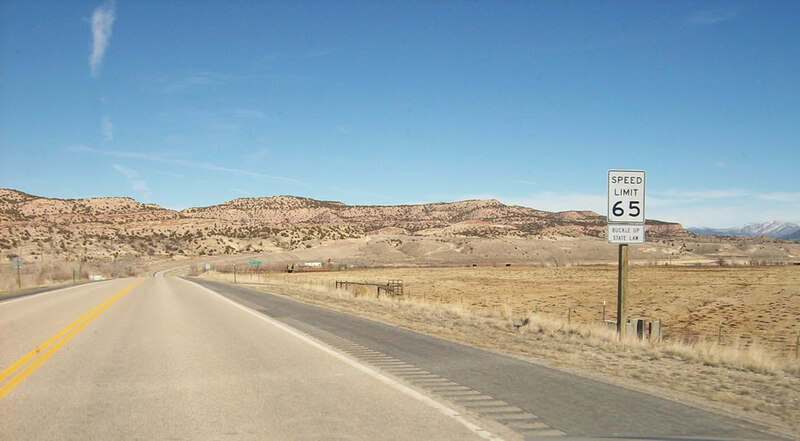 Wyoming 530 begins at the Utah-Wyoming state line, where Utah 43 east changes into Wyoming 530 northeast of Manila, Utah. 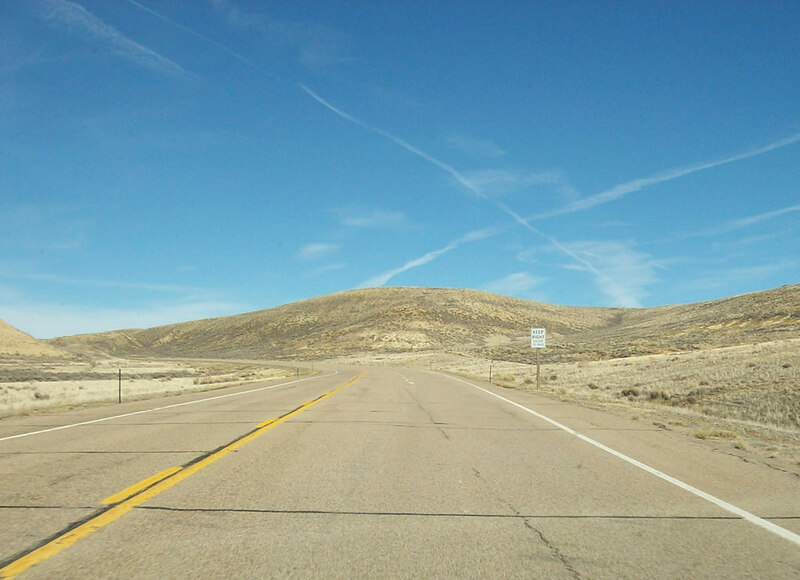 From here, Wyoming 530 will follow the western edge of the Flaming Gorge Reservoir as it travels north to Green River, the seat of Sweetwater County (a distance of about 45 miles). Photo taken by Kenny Chuck (03/12/07). 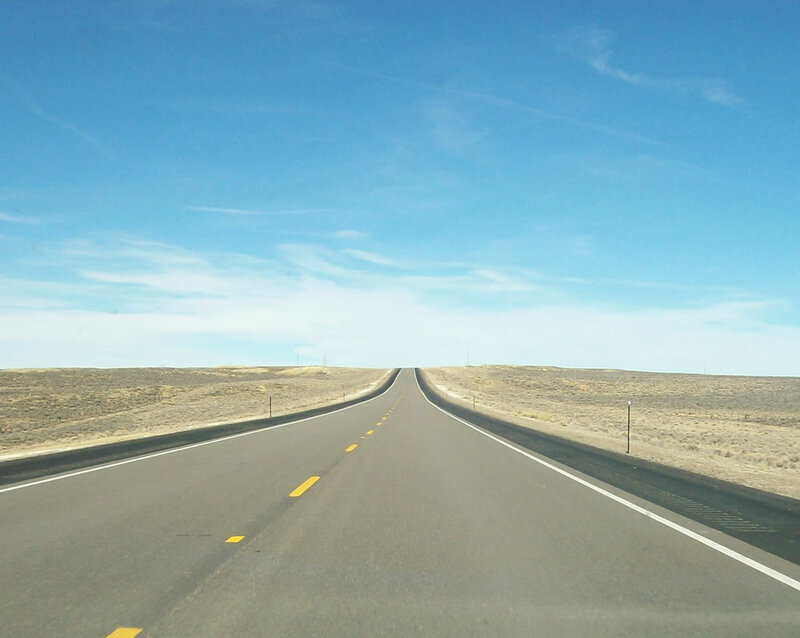 The speed limit along most rural stretches of Wyoming 530 is 65 miles per hour. Photo taken by Kenny Chuck (03/12/07). Wyoming 530 is mostly two lanes as it travels north, with occasional passing lanes. Largely avoiding the Flaming Gorge National Recreation Area, Wyoming 530 has several access points to the reservoir. The national recreation area is managed by the National Forest Service as a unit of Ashley National Forest. Most of Ashley National Forest is located in Utah, in the High Uinta Mountains. Explorer John Wesley Powell, who launched his exploratory expedition from Expedition Island in Green River city in 1869, followed the Green River south into Utah, and he named the Flaming Gorge due to its fiery red rock formation and cliff walls. Established on October 1, 1968, after the construction of the Flaming Gorge Dam and formation of Lake Flaming Gorge reservoir, the national recreation area consists of 207,363 acres. Photo taken by Kenny Chuck (03/12/07). Continuing north, Wyoming 530 emerges from the badlands, and the terrain opens up. To the east is the reservoir, and as we continue north, the reservoir diminishes. By the time the river enters the city of Green River (upstream), it is a river and not a reservoir. Nevertheless, the reservoir is staggering in its length and storage capacity. Photo taken by Kenny Chuck (03/12/07). A passing lane comes into view as Wyoming 530 gets closer to the city of Green River. 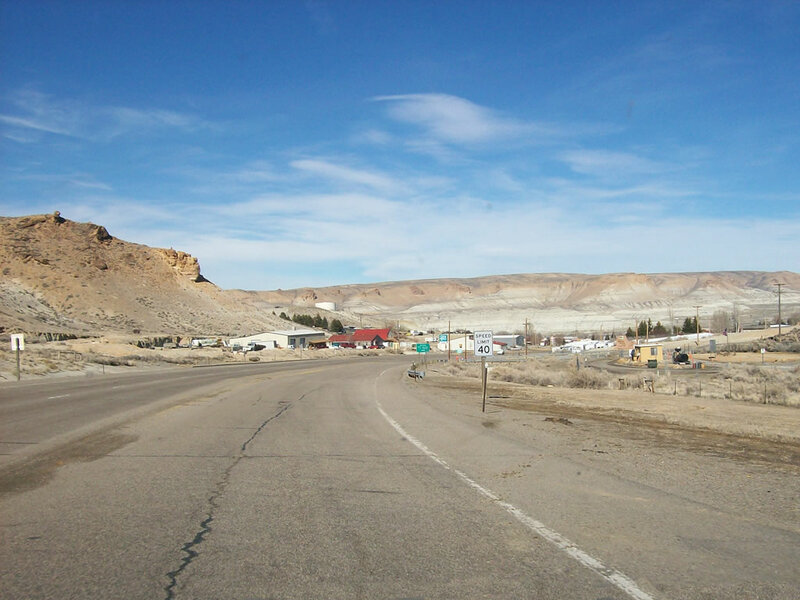 Incorporated in 1868 as part of Dakota Territory and again in 1891 as part of the new state of Wyoming, Green River is home to 11,808 people as of the 2000 Census and is the seat of Sweetwater County. The city is a hub for the trona mining industry; the trona mines are located west of Green River. In addition, the railroad, tourism to the Flaming Gorge, and Interstate traffic augment the economy of this vibrant region. There are no coal mines near Green River; those are primary located near Rock Springs (that city is located 15 miles east of Green River via Interstate 80 and U.S. 30). Green River is also the seat of Sweetwater County, so its courthouse is located downtown. The annual Flaming Gorge Days are a festival of fun during June. Photo taken by Kenny Chuck (03/12/07). 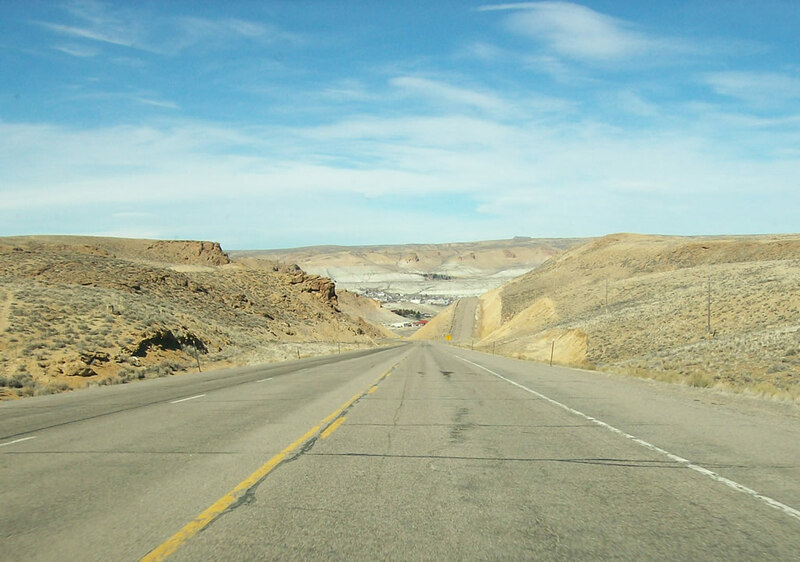 Upon cresting the hill, northbound Wyoming 530 descends into the valley of the Green River, and the first signs of the city of Green River come into view. Traffic should slow down for the long downgrade into the city, and a runaway truck ramp is provided for those with trouble braking. All traffic should prepare to slow down to city speeds. 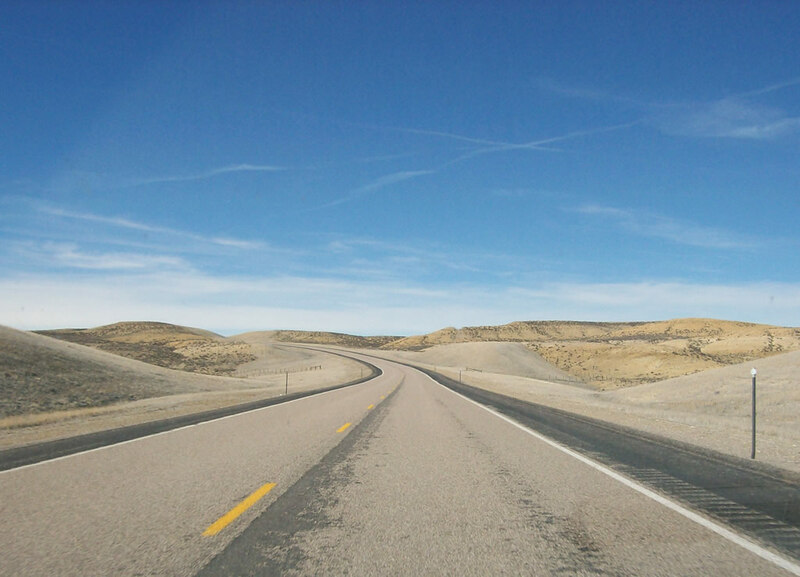 Wyoming 530 will continue north to Business Loop I-80 and Business U.S. 30 (Flaming Gorge Way), which in turn provides connections to either direction of transcontinental Interstate 80 and U.S. 30. Photo taken by Kenny Chuck (03/12/07). The speed limit on Wyoming 530 south diminishes to 40 miles per hour. A welcome sign to the city of Green River is visible in the distance. Commercial areas line Wyoming 530, which follows Uinta Drive through the city, while residential areas are located on either side of the state highway. 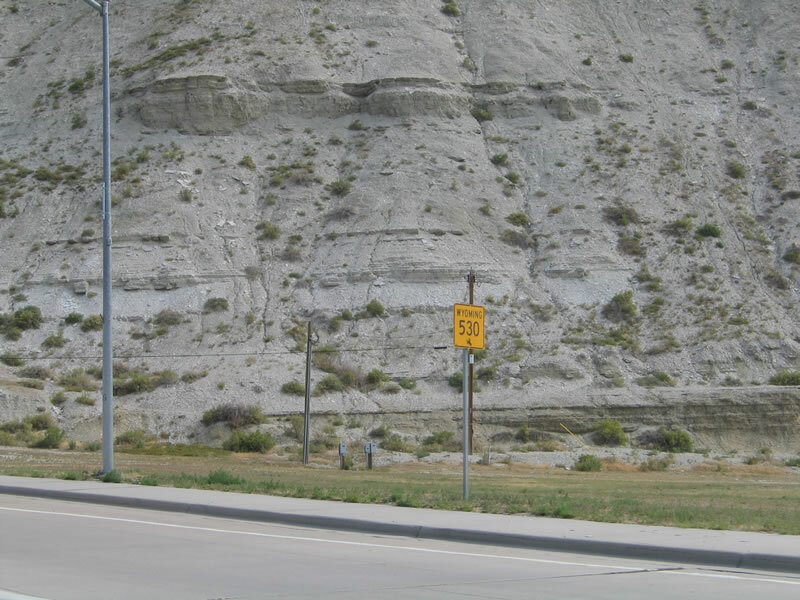 Mans Face (Mansface), a geological formation on one of the cliffs above the city, can be seen from northbound Wyoming 530 on the left (west) side of the highway. Photo taken by Kenny Chuck (03/12/07). To reach Wyoming 530, follow Business Loop I-80 into Green River, then turn north onto the railroad viaduct. The four-lane highway makes a 180-degree turn, changing from a northbound to a westbound to a southbound direction. Almost immediately upon turning south, Wyoming 530 crosses a viaduct that carries the state highway over the Union Pacific Railroad tracks. 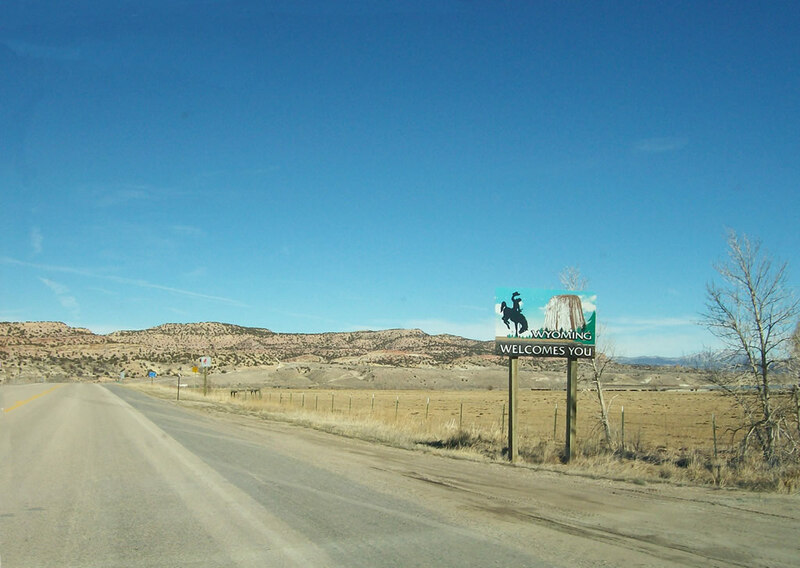 This photo shows the first southbound Wyoming 530 (Uinta Drive) reassurance shield immediately after the business loop (Flaming Gorge Way) intersection. Photo taken 09/07/05. 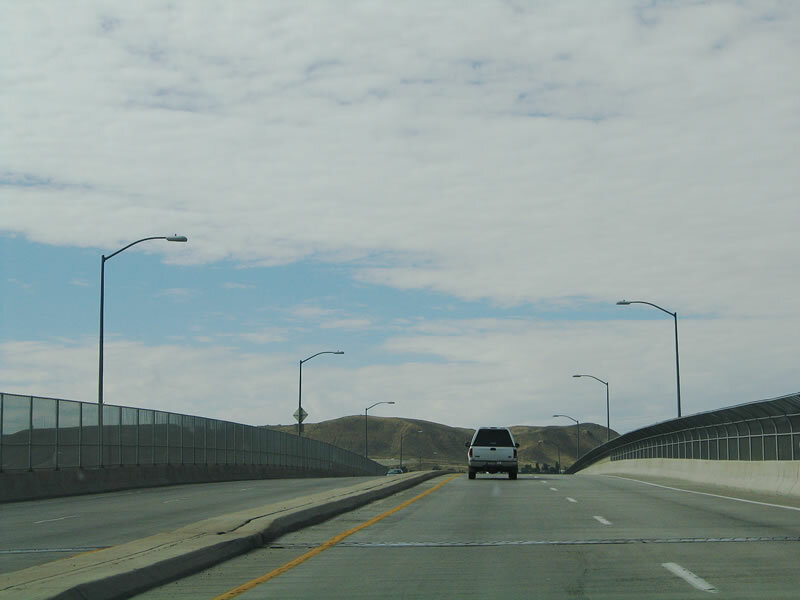 Wyoming 530 (Uinta Drive) is a four-lane highway as it crosses the viaduct that carries the state highway over the Union Pacific Railroad tracks. This viaduct was reconstructed in the mid-1990s to replace the previous two-lane viaduct. 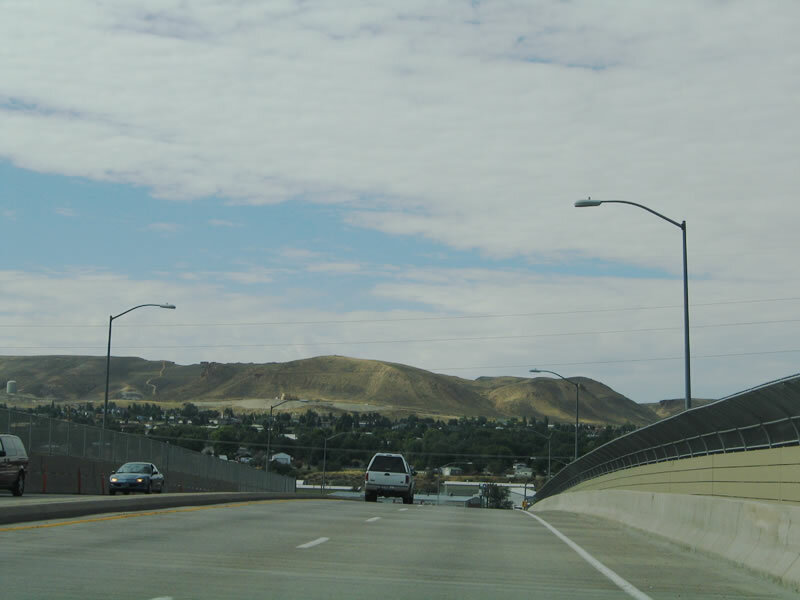 Only one other route crosses the Union Pacific Railroad within the city of Green River: West Second Street South passes under the railroad via a subway, connecting back to Flaming Gorge Way (Business Loop I-80/Business U.S. 30). Photo taken 09/07/05. The southern portion of the city of Green River comes into view as Wyoming 530 (Uinta Drive) crests over the Union Pacific Railroad viaduct. A bridge that carries Wyoming 530 over the Green River is located about a quarter mile south of this point. Photo taken 09/07/05. 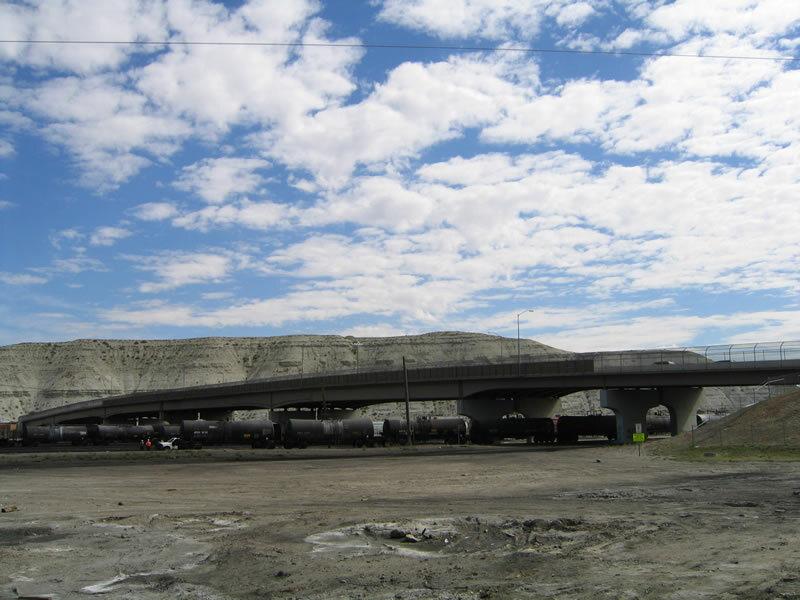 This vantage point shows the Wyoming 530/Uinta Drive viaduct crossing over the Union Pacific Railroad tracks as seen from a Maverik gas station located on East Second South Street. Photo taken 09/07/05. Page Updated December 1, 2007.